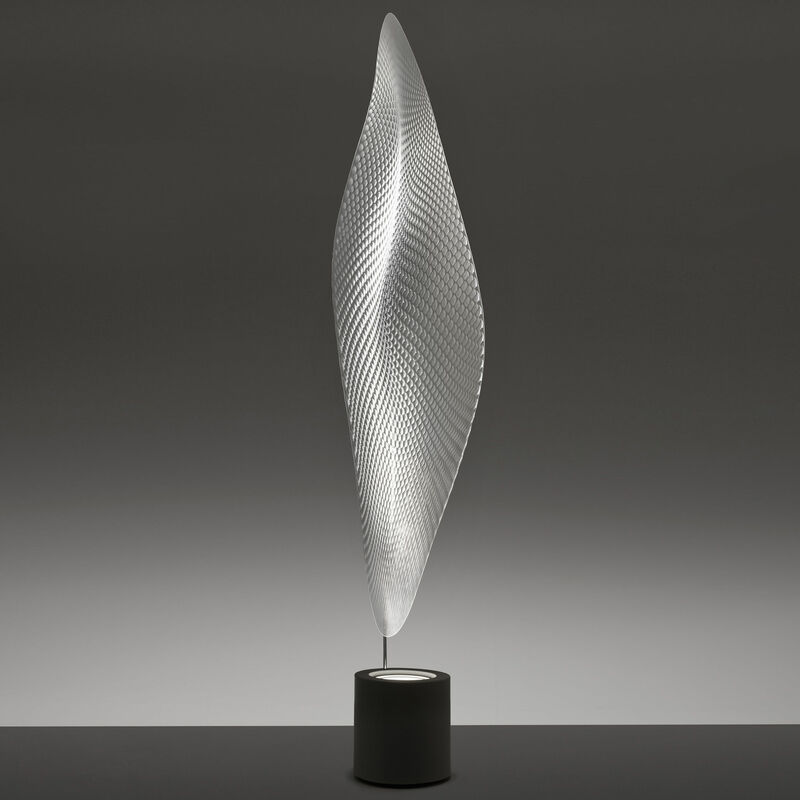 Cosmic Leaf collection a great figure of organic and ecologic design created by Ross Lovegrove embodies organic sensibility and arouses poetic sensations! Cosmic Leaf has sensual and fancy look that provokes emotions. 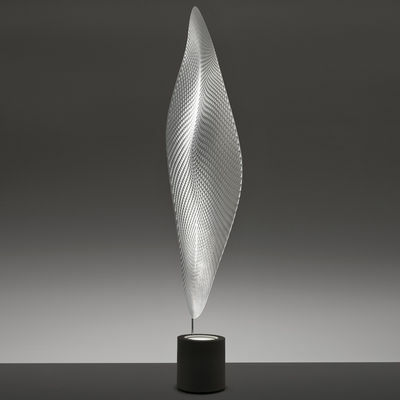 “It looks like a digital leaf from another world, covered in insect or reptile scales that catches light and shade with its body in order to attract its mate.” Somewhere between contemporary art and design, this floor lamp in naturalistic form is made of technologically advanced materials. 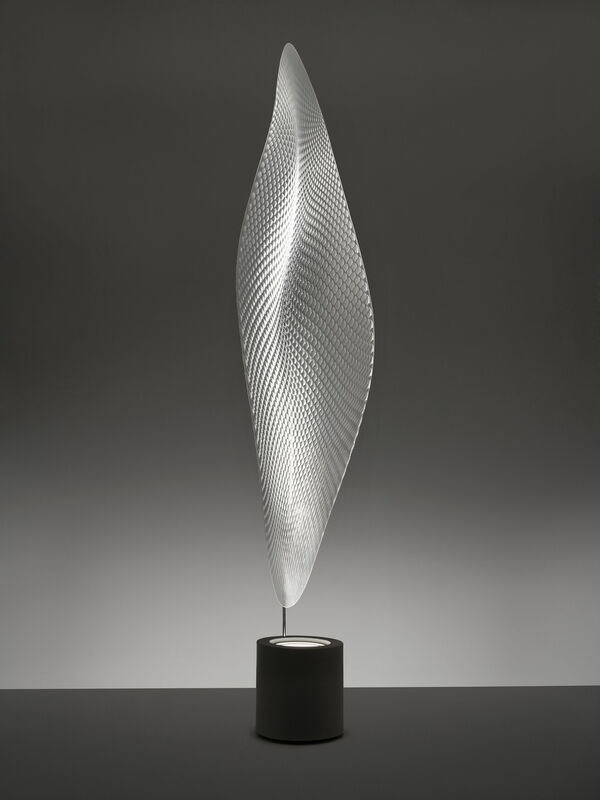 It features a round brush metal base and a halogen bulb placed on it. The transparent methacrylate diffuser, supported by a chrome steel stem, has a beautiful geometric pattern. 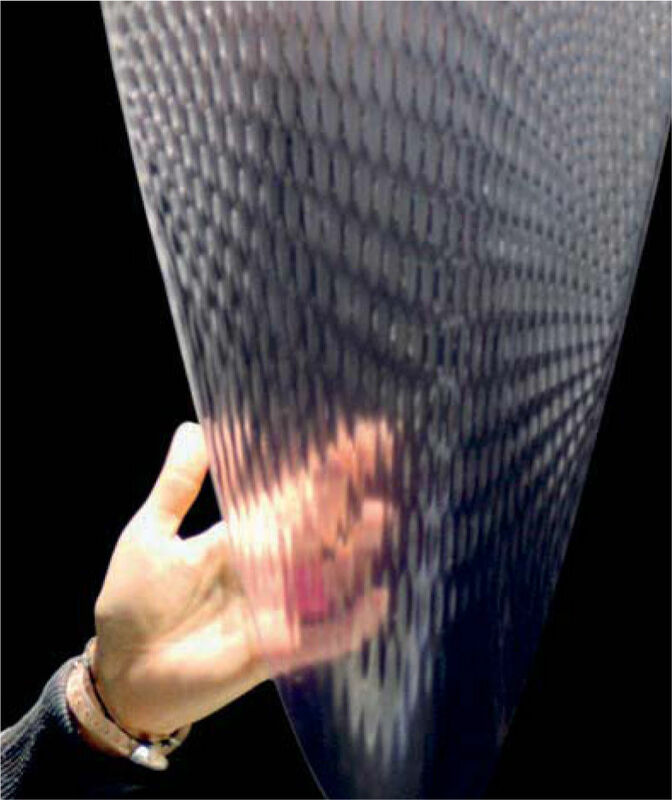 The light source in the base guarantees excellent light distribution on the whole surface of the diffuser. 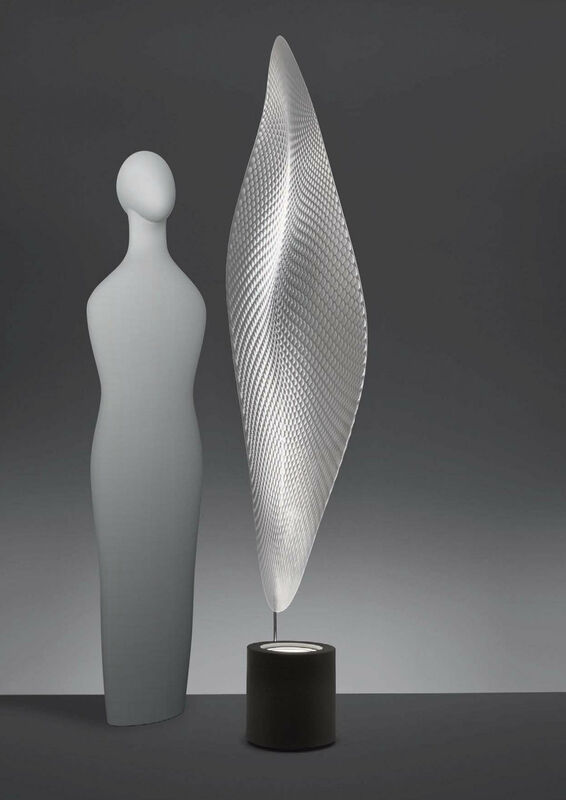 The indirect light goes in all directions and Cosmic Leaf creates a pleasant atmosphere.